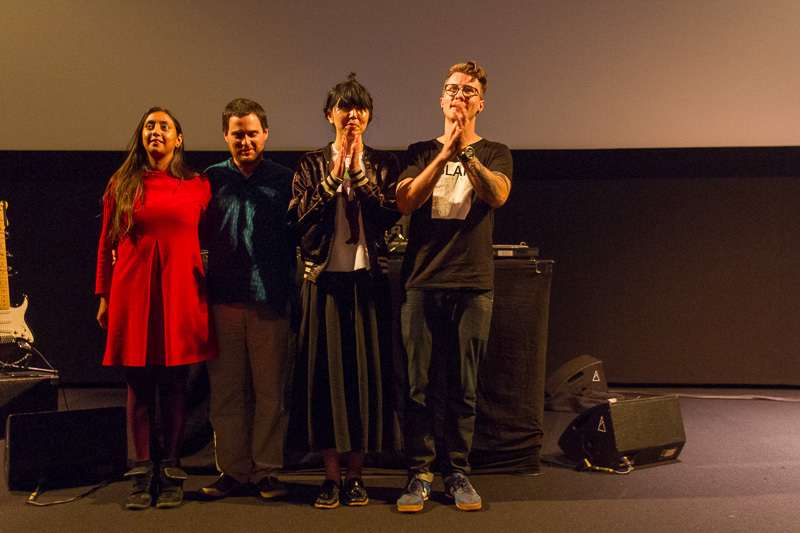 European Souvenirs artists Farah Rahman, Karol Rakowski, Noriko Okaku and Malaventura were back in Amsterdam on Tuesday, 20 May with a brand new show called €urovisions. 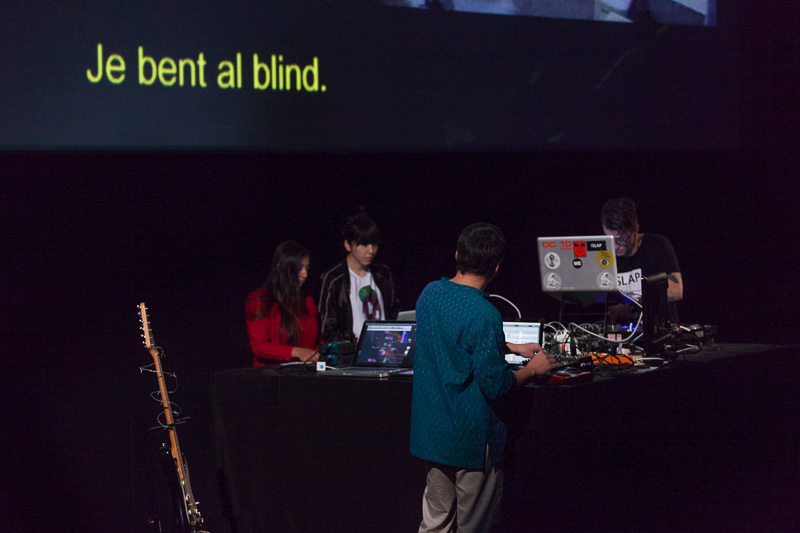 Hosted at the EYE Film Institute in Amsterdam, the four artists performed the live show in front of a packed audience. 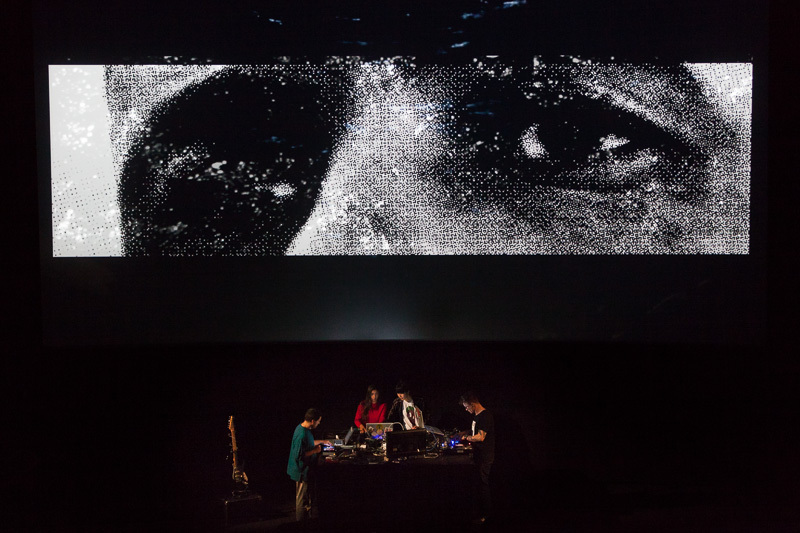 Combining a mixture of music, animation, video art, dramaturgy, photography and film through the immediacy of live performance, €urovisions offers a challenging and multifaceted look at the contemporary story of immigration and Europe. 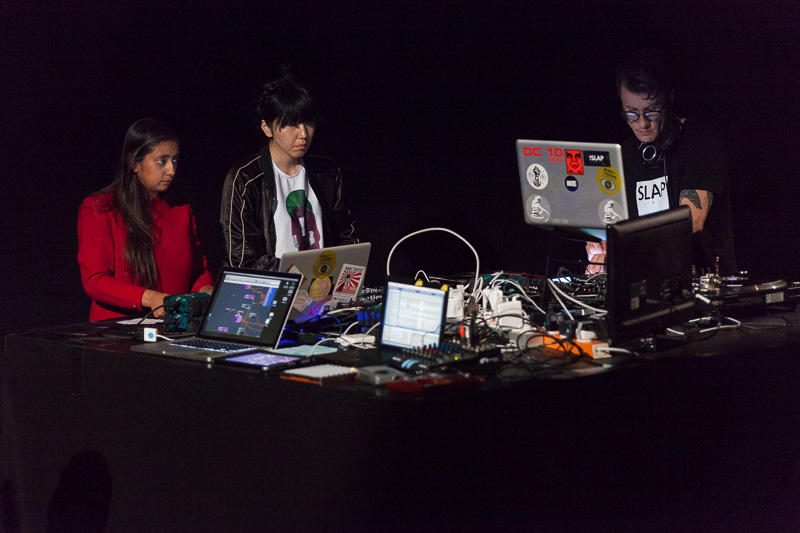 The unique performance encourages the audience to reflect on the evolving role of the media and our interaction with representations of immigration and European identity. €urovisions is part of Remapping Europe – a Remix Project Highlighting the Migrant’s Perspective, which is an investigative artistic project by the ECF-supported Doc Next Network. 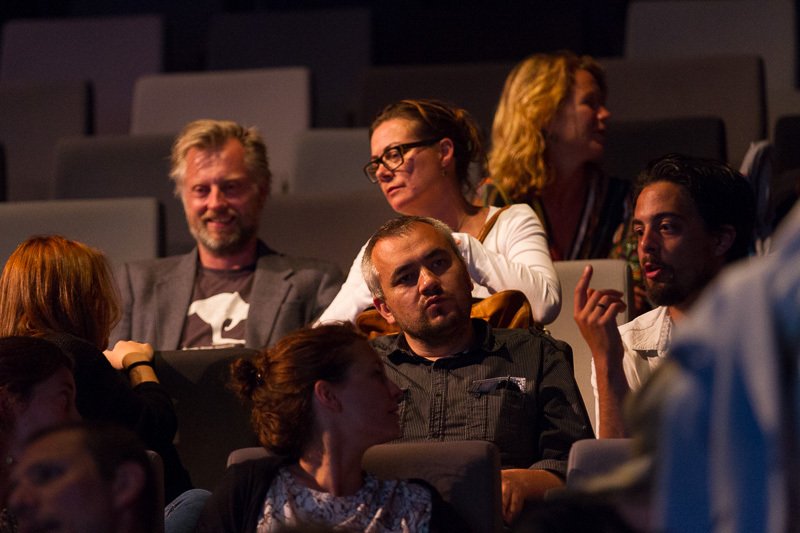 Before the show, the Amsterdam audience was treated to the launch of a book produced by the Doc Next Network as part of the Remapping Europe – a Remix Project. Building on four individual case studies of recent media incidents, the book – Remixing Europe – Migrants, Media, Representation, Imagery – also focuses on the representation of migrants in European media. 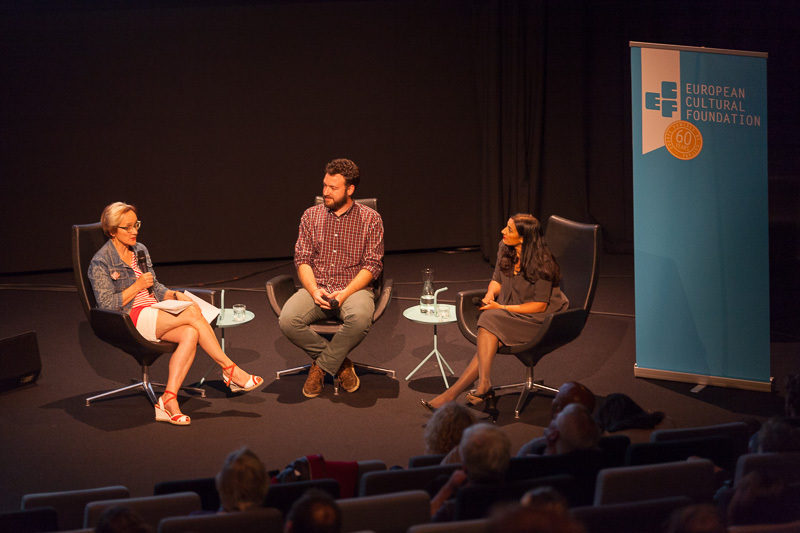 ECF Director Katherine Watson introduced the book in a thought-provoking conversation about media and democracy with British-Dutch-Pakistani writer and human rights lawyer Naema Tahir and Spanish journalist and Remixing Europe contributor Juan Luis Sánchez, who is Deputy Director of eldiario.es. 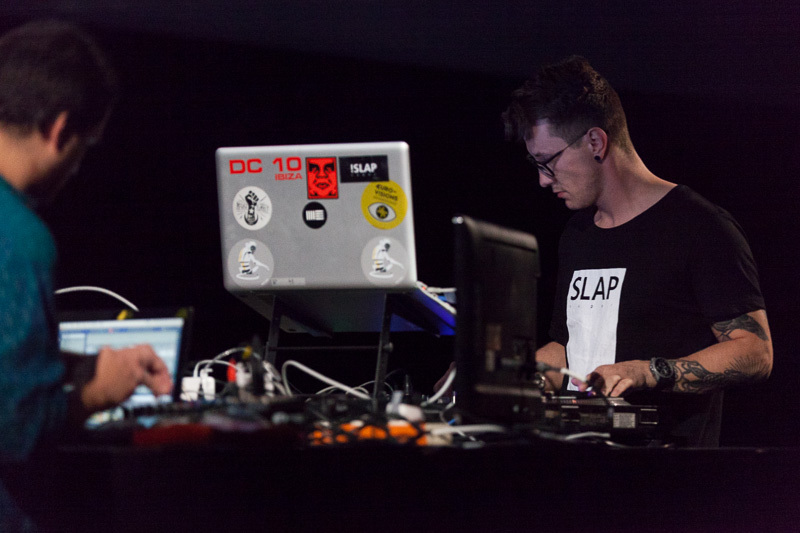 European Souvenirs was first created by five young media artists who were born during the 1980s. They spent six months delving into Europe’s leading archives and image libraries in Spain, Poland, UK, Turkey and the Netherlands. 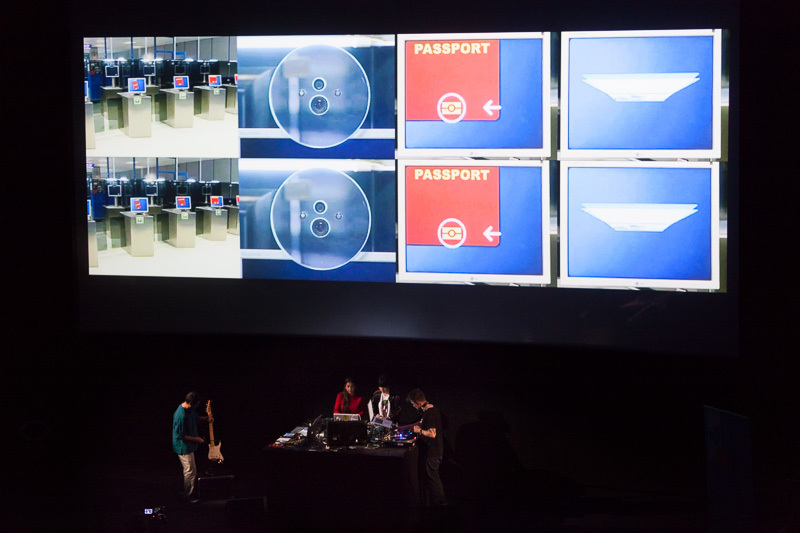 The materials they gathered were turned into their first live cinema show – the eponymous European Souvenirs. 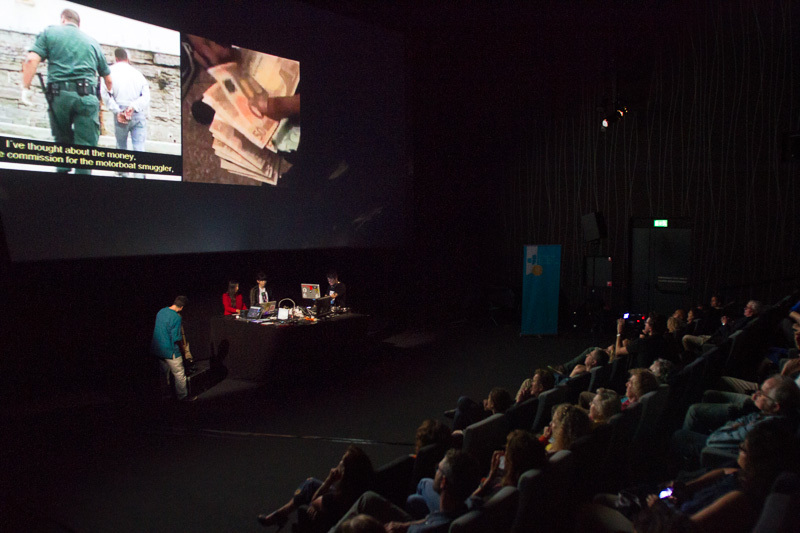 It offered an audiovisual journey through history and an impression of Europe as seen through the eyes of this new generation of media-makers, from documentary maker to VJ . 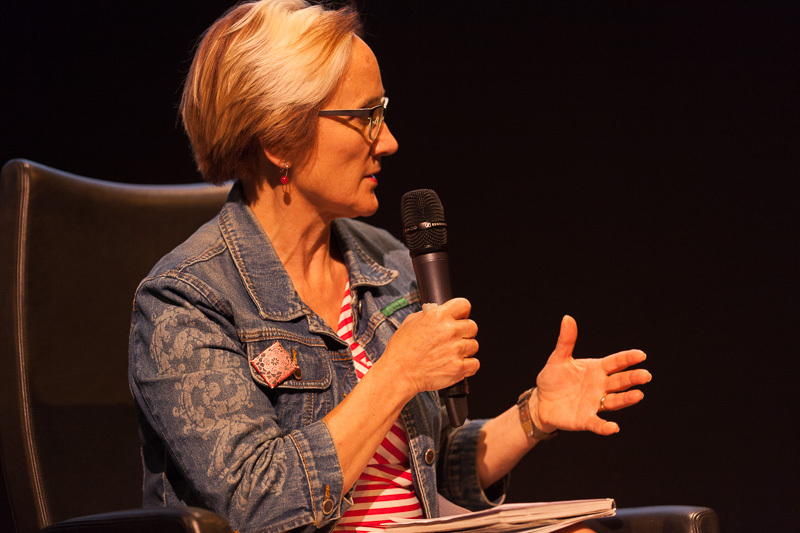 It premiered during the Imagining Europe festival in October 2012 at De Balie in Amsterdam. 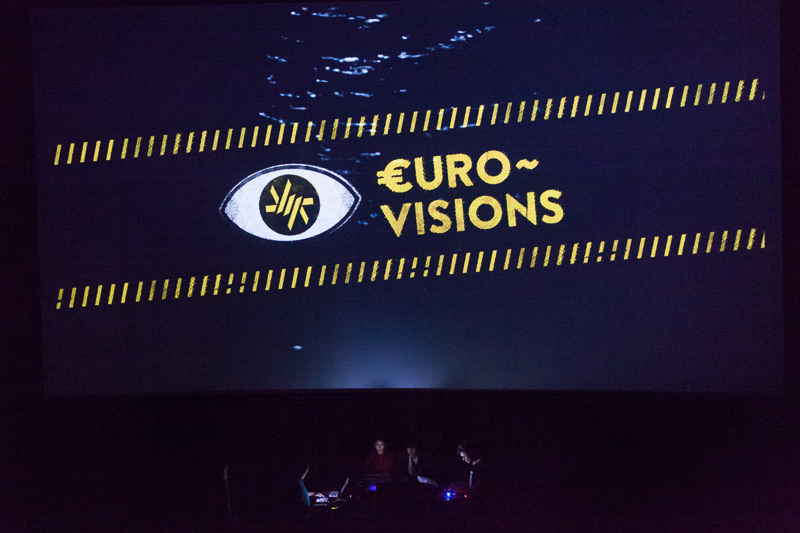 → On 22 May, the European Souvenirs artists will offer a free masterclass on Remix and Live Cinema – “The Making of €urovisions”. Info & Registration.